I’m blessed to have a bedroom that’s rather large but that wasn’t always the case. While I now have room for a couple of dressers and even a little reading area, I remember when I first started out on my own and barely had room for a single bed. 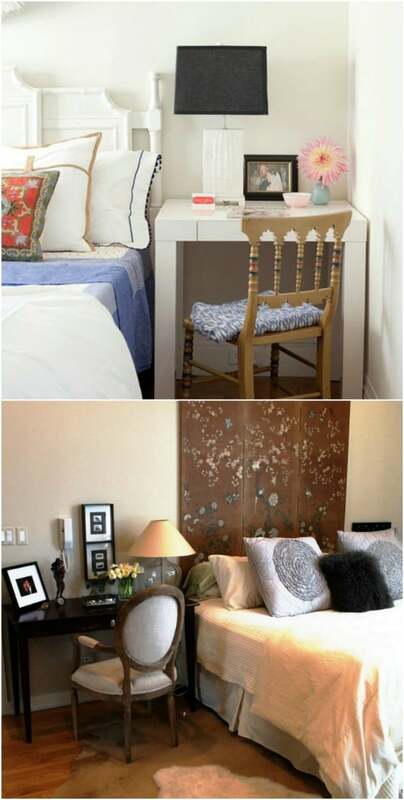 Small bedrooms can be frustrating if you don’t know how to maximize those smaller spaces. One of the things I love to do more than anything is find new ways to create space, which is why I am really excited about this list of 30 hacks for your small bedroom. 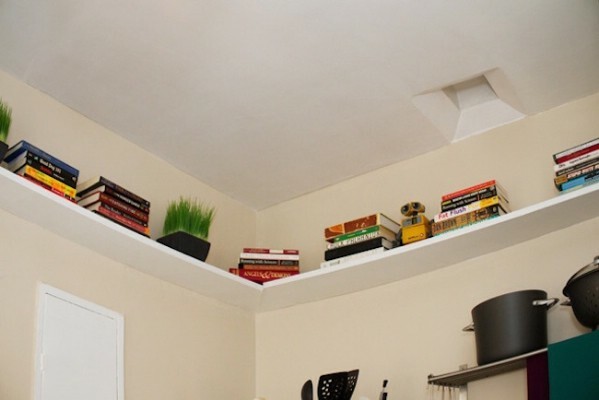 These space saving ideas are sure to come in handy. I really do love a good life hack. From saving space to organization, life hacks make it happen. And, speaking of life hacks, you should really check out these 50 genius life hacks that will solve so many common problems. And now back to making those small bedrooms appear larger. There are so many ways that you can give the illusion of a larger room – mirrors come to mind. That being said, there are also many ways that you can maximize the small space that you have available and make it go further, virtually giving you a larger bedroom. Do you see why I love these little hacks? No matter what size your room is, there is a way that you can make it work for you. This is a great collection for teens’ or little ones’ rooms or if you just moved into a small house or apartment and aren’t sure how you’re going to arrange and store all of your stuff. Organization is the spice of life and I love a good organizing project. Just take a look at these 12 tips for organizing your closet. You’re sure to gain additional room when you get everything organized! So, if you have a small bedroom, or even if you have a small room that you are thinking about turning into a guest room, I’ve got a great collection of ideas to help you maximize the space in that room to give you as much, or even more, room than you need. 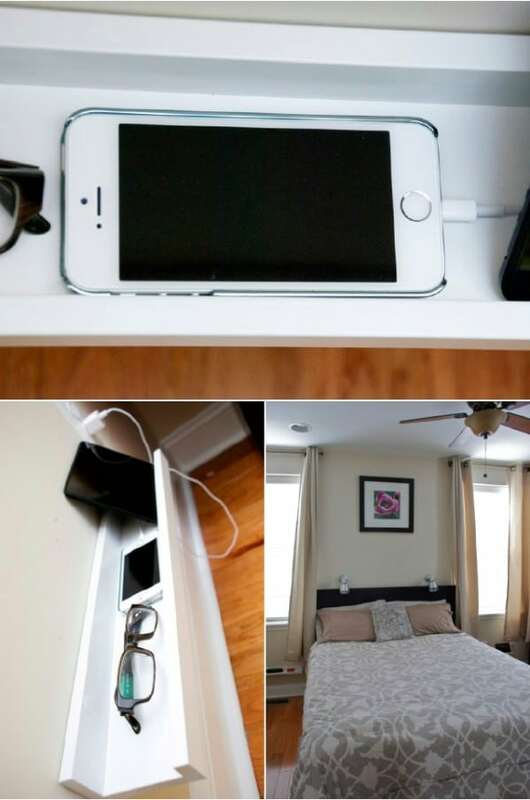 Try out these easy space saving techniques and if you have a space saver of your own, be sure to tell me all about it! Curtains tend to take up more space than you realize – or at least they give the illusion of taking up space. 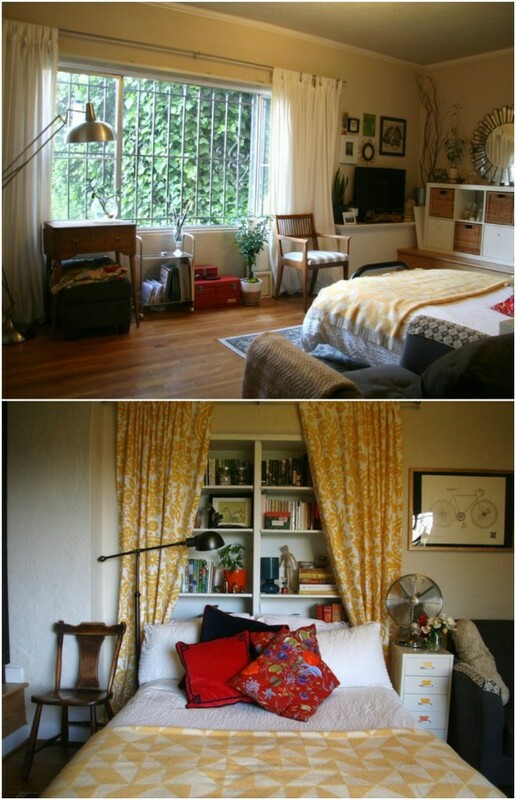 If you’re dealing with a small bedroom, you can add the illusion of more space by taking out the curtains. This allows more natural light into the room which makes it appear larger. Of course, you don’t want people seeing into the room, so consider covering your widows with frosty film. This allows sunlight in and makes the room look natural neat and tidy. If your bedroom suite includes a large, overbearing headboard, you can create more space by removing that big headboard. 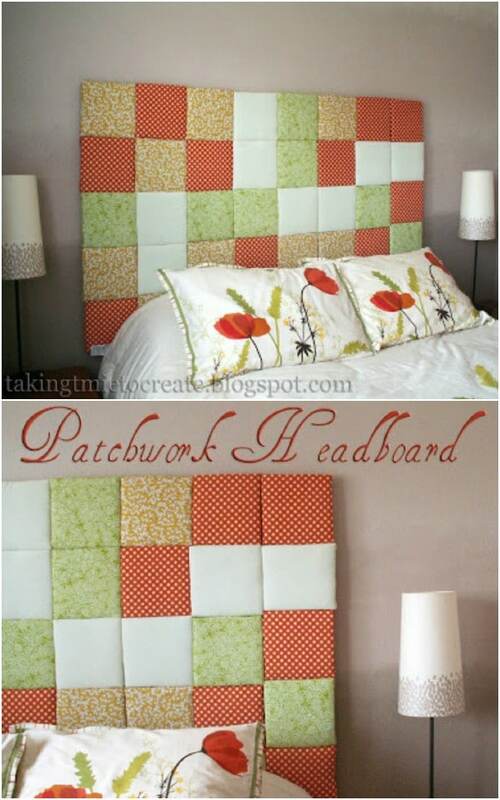 You don’t have to go without a headboard of course, you can build on right on the wall. This not only takes away that bulky headboard that you currently have but it allows you to push your bed flush against the wall, giving you a few extra inches of space at the foot of the bed. A desk or dresser can take up loads of space, which you may not have to spare in a smaller bedroom. Instead of using larger pieces of furniture, you can create floating furniture which gives you the storage and work space you need without taking up too much floor space. You just build the furniture on the wall, which also gives you additional floor space for storing other items that you may need in the room. Unfortunately, a small bedroom often means a small closet as well. 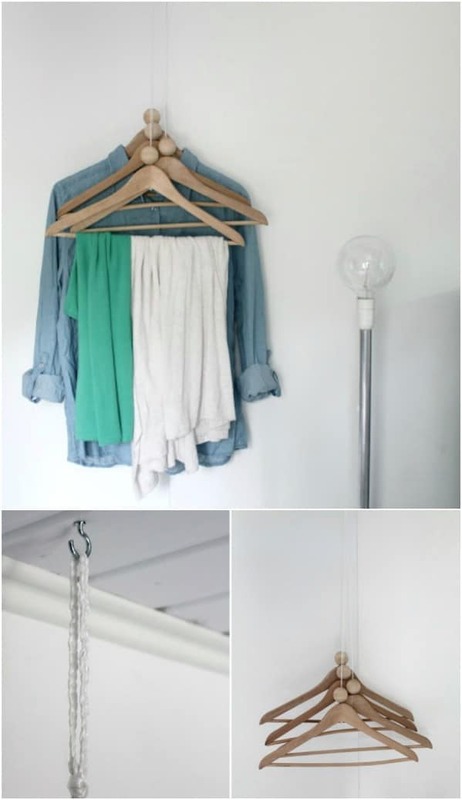 If you don’t have enough closet space or you have to do away with a dresser in order to save floor space, you can utilize space from the ceiling to hang some clothing. Choose a corner and build a nice hanging closet right there in the room. This doesn’t take up nearly as much space as you would think and the hangers are toggled so you can always see what’s on each one. 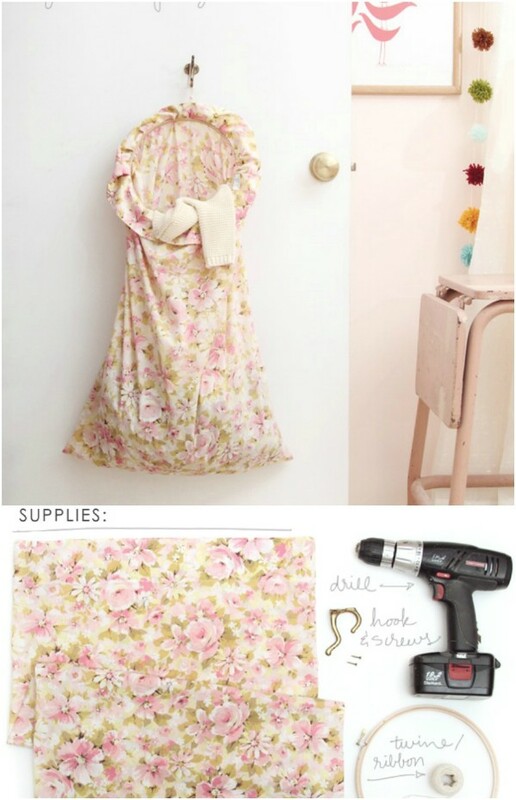 There’s a neat way to utilize that space behind your door for hanging towels, robes, or anything you need to hang. 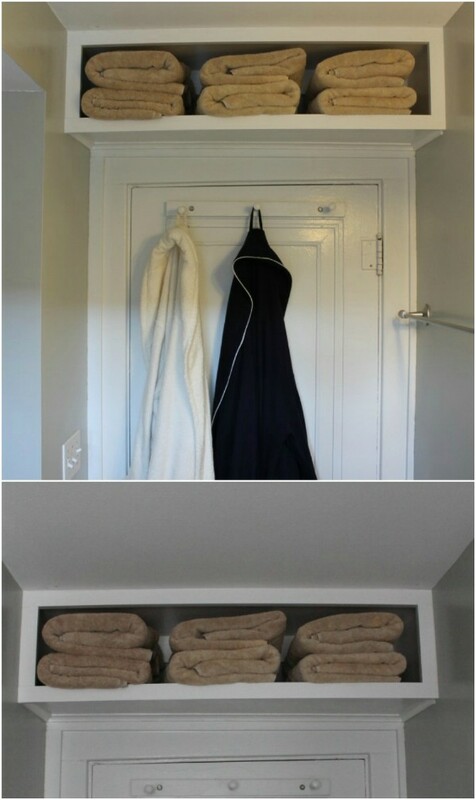 If you have a really small closet, this is a great way to move bulky coats or other items out of the closet and keep them hidden out of sight at the same time. This little behind the door hanger is really easy to make and frees up space that you may need for other items in the closet. 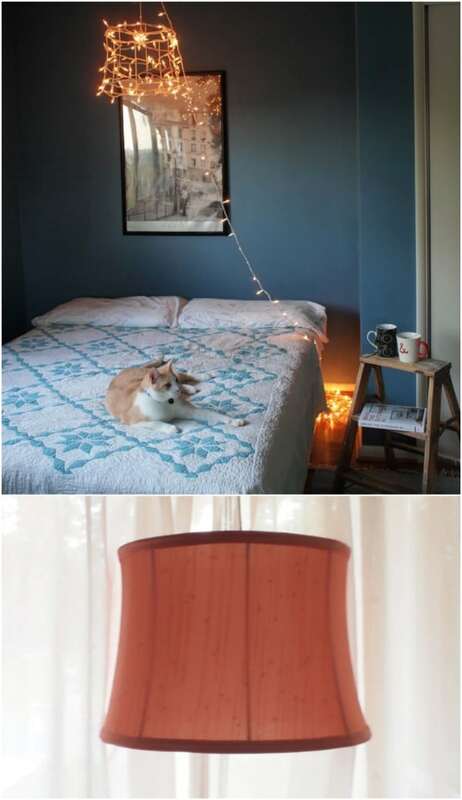 You can hang your lamp, if you have one on the bedside table that is, and free up additional space on the table. Or maybe you don’t have room for a bedside table and wonder where in the world your extra lighting will go. This hanging lamp is perfect for getting extra light and doing it without needing extra space. Plus, it’s a gorgeous wired lamp that uses Christmas lights – it gives off a warm and romantic glow. 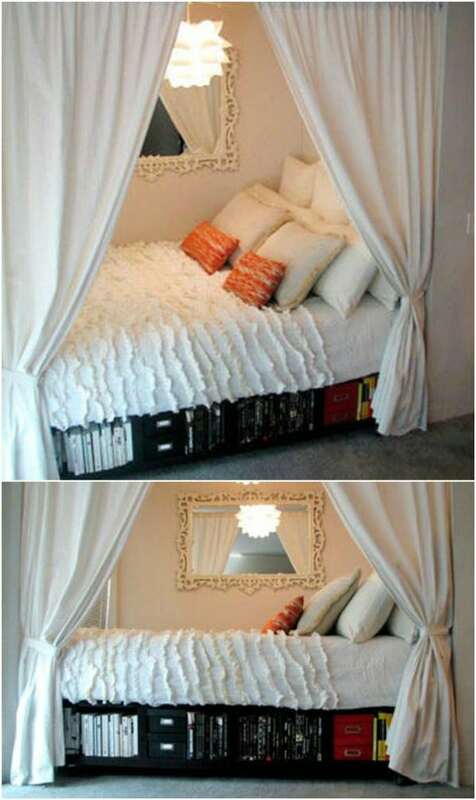 A shelf behind the bed would be perfect for keeping books and other items out of sight and organized. If you have the space – and this doesn’t take up much room – you can build a little bookcase type storage area behind the bed and then just cover it up with curtains. You’ll need a bed without a headboard for this so that you can easily access the items on the shelves. It gives off a great vintage vibe- remember those old beds with bookcases built into the headboards? Instead of having a dresser or two cluttering up your already too small bedroom, why not move your clothing storage to under the bed? This is a great area to utilize since you don’t really use the floor space under the bed anyway, and you can easily build a frame for your bed that has tons of drawers to hold those clothing items. Then you can move that huge dresser out of the room and give yourself a little extra floor space. 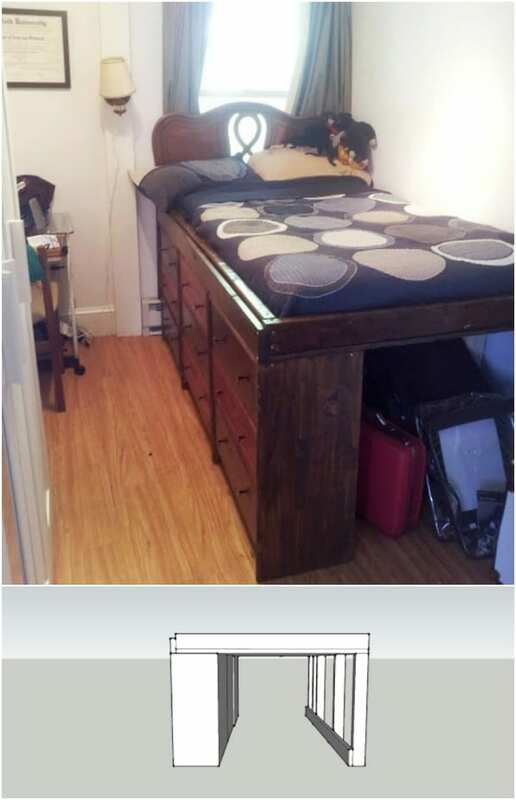 If you need a desk in the bedroom and you’re running low on space, you can turn your desk into a footboard. 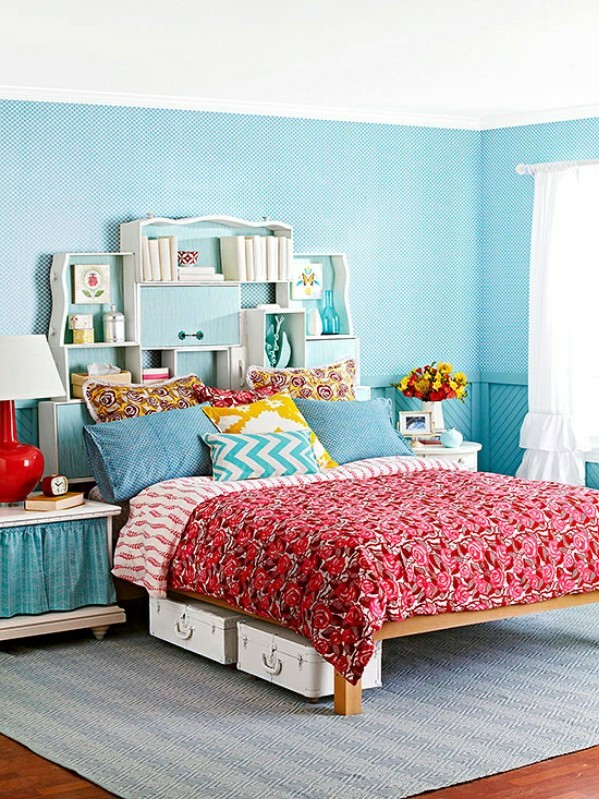 Instead of using a regular footboard, just move the desk to the foot of the bed. This really saves on space and looks great, too. You don’t even have to build anything for this one – just move a few pieces of furniture around and you’ll have a lot of space left over. My laundry hamper takes up a lot of space. Not more than the dresser of course, but if you don’t have much space to begin with then every little bit counts, right? You can save a bit of space by doing away with that standing hamper and making a hanging hamper. The hamper can hang on the closet door or on the backside of your bedroom door. 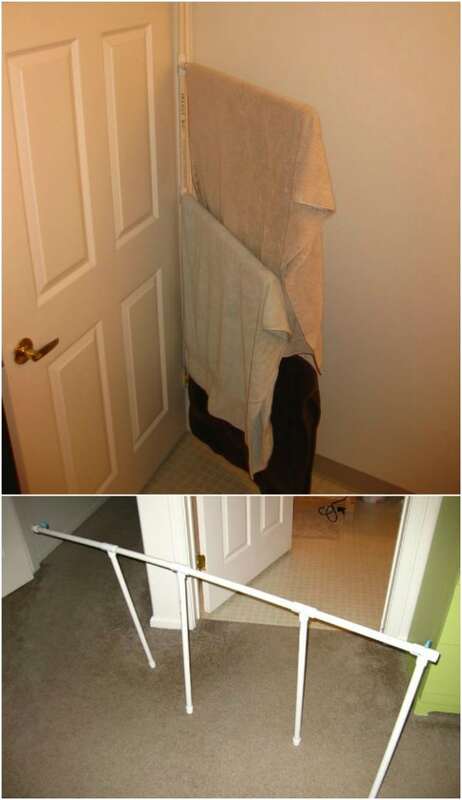 It’s a really easy DIY project and a great space saver. I love the idea of repurposing old dresser drawers into shelves and stackable storage. Utilize all of the space that you have available and turn it into storage which frees up space that would hold an extra dresser or even your nightstand. Old drawers can be used to create a storage headboard, or you can stack them neatly under the bed or even use them to create a bedside table – giving you loads of storage without sacrificing floor space. You can even more storage in your corners. These corner shelves are super easy to make and help to free up space on your dresser and bedside tables. Clutter tends to make a room seem smaller so the more organized your room is, the larger it will seem. Clean up clutter from the tops of your dressers and nightstands and put those items on these easy to make corner shelves. You can build this one in under seven minutes! Suspended tables help to create the illusion of more space, which is what you need, right? These little hanging tables are great for added storage and they take up zero floor space. Plus, they’re easy to make and really adorable. 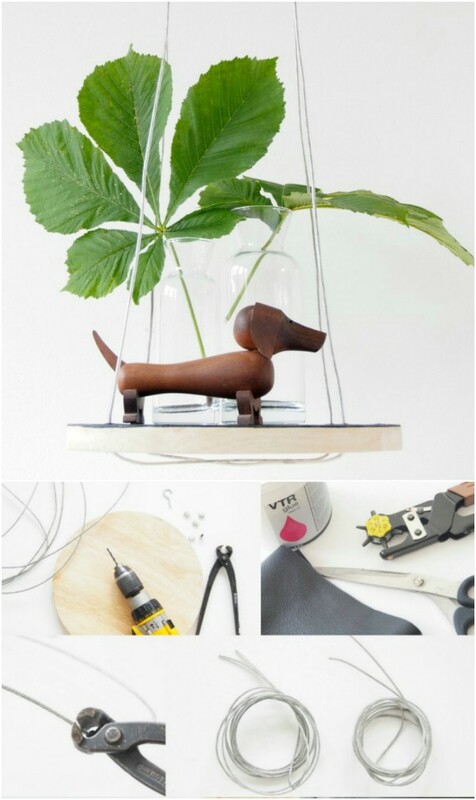 You need a wooden cutting board, steel wire and a few other supplies to make them. You could put one of these on each side of your bed and you won’t need a bedside table – imagine the space that will free up! If your bedroom has an alcove, that is the perfect place to put your bed, assuming it will fit. The bed is the largest piece of furniture in the room. If you can move it from the center of the room then it won’t be the focal point any longer, which naturally makes that room appear much larger. If you can, move your bed into the alcove. You can even hang a curtain or drape up over the alcove opening to hide the bed away and give it a great canopy feel. You won’t really be able to put shelves on your ceiling, but you can hang them up to the ceiling, which doesn’t take away from the floor space and gives you room to put some of that clutter up out of sight. You could line your entire room with shelving and have plenty of storage space. 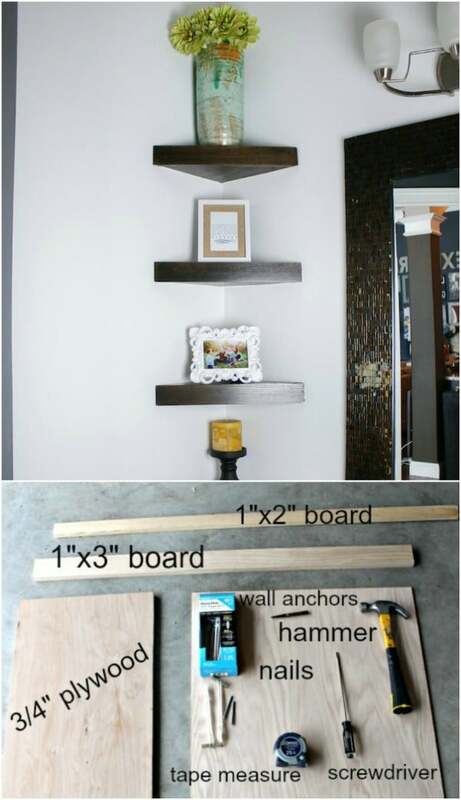 Shelves are pretty easy to install, too so this project will only take you a couple of hours and you’ll be able to get rid of some of those bookshelves or other furniture. 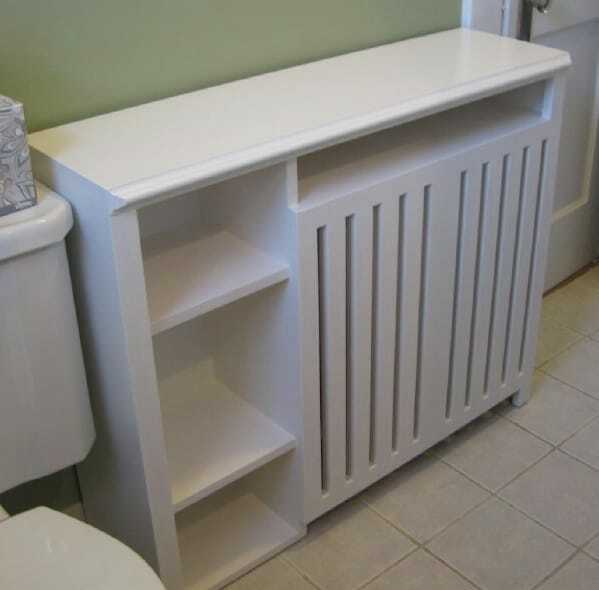 If your bedroom has a radiator, you can build this neat little storage unit that covers it. It allows the heat to come out and is perfectly safe. It also gives you loads of extra storage on a wall where you normally wouldn’t have it because of the radiator. You get four shelves and a countertop section where you can store any number of things which will maybe let you move out an extra table or bookcase and save that floor space. The thing about small bedrooms is you just don’t have all the storage space that you get in a larger room. You may not have space for a dresser and bookshelf or desk or tables. If you need additional storage and you just don’t have room for something that sits on the floor – move it to the wall. 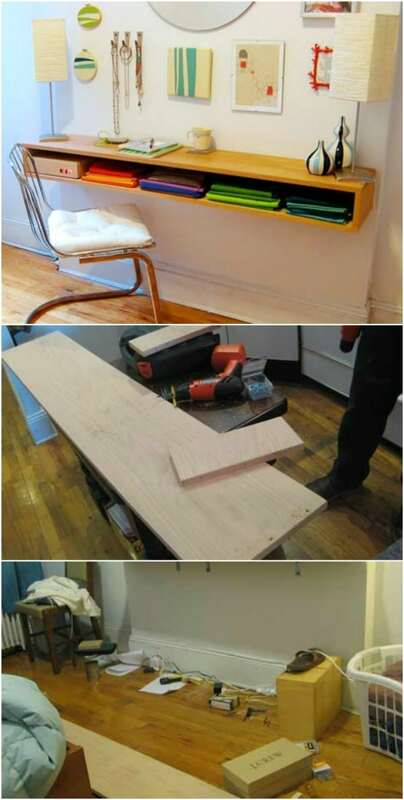 This over the door shelf idea is genius. You could have this in every room and give yourself a little extra storage. Okay, so it’s not really invisible but you can easily add this nightstand and eliminate the need for bulkier bedside tables. You just mount picture ledges to the wall beside your bed – if you have windows surrounding your bed then the curtains will hide them completely from view. This gives you the room you need for charging your phone at night and it will even hold glasses, alarm clocks and a few other items. You get all the storage you need without using any floor space at all. Mirrors help to open up small spaces and make them seem larger. If you’re dealing with a small bedroom, a mirror or two – or even three – would help to make the room appear to have much more space. When you use that mirror to also store jewelry, you’re freeing up clutter form the dresser which also makes more space. This DIY mirror jewelry storage cabinet is easy to make and helps that smaller room seem much larger.